It's not every day you come across a gripping murder mystery that involves salmon. In this second installment of the Cole Blackwater series, the environmental crusader learns that a close friend in a small First Nations community has gone missing while investigating an aggressive strain of sea lice threatening the wild salmon in British Columbia. Soon Cole must grapple with the possibility that someone in the salmon business may have wanted his friend out of the way. Meanwhile, he's still grappling with the death of his father, and his relationship with a female news reporter is getting more complicated. Narrated in smooth, precise tones by performer Jay Snyder, this is well-paced thriller that draws on the haunting beauty and harrowing environmental issues of British Columbia to create an engrossing listen. Eight months after his own brush with death over Alberta's Cardinal Divide, Cole Blackwater has learned that his good friend and former client Archie Ravenwing is presumed dead on the waters of British Columbia's Broughton Archipelago. Days before his disappearance, Ravenwing was on the brink of unravelling a corporate conspiracy surrounding an outbreak of sea lice that could decimate wild salmon along the BC coastline. While Cole and newspaper reporter Nancy Webber search for answers, Cole is haunted by the dark secret surrounding his own father's mysterious death. For Nancy Webber, whose long-forgotten feelings for Cole have risen to the surface again, getting to the bottom of Cole's family history becomes both a professional and personal obsession. 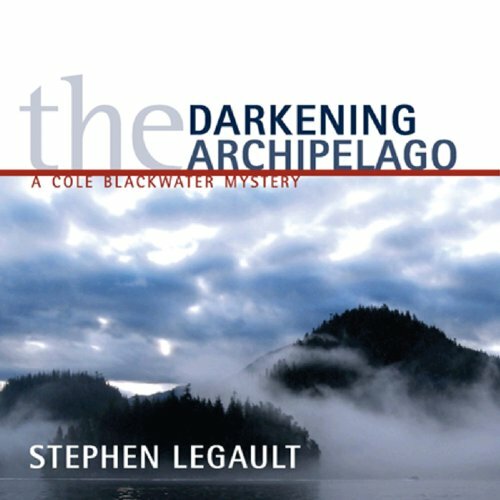 The Darkening Archipelago, the second audiobook of the Cole Blackwater series, is a race to keep both human souls and wild ecosystems from falling into darkness. ©2010 Stephen Legault (P)2013 Audible, Inc.